An experienced trial attorney, Chris loves digging into cases and strategically lining up the best arguments. Her gift and passion for the courtroom led Chris to pursue trial work early in her career. 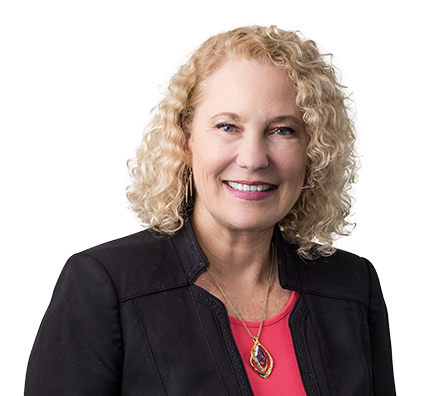 Since then, she has represented clients in more than 50 jury trials in state and federal courts across the country. Her clients run the gamut from ammunition manufacturers to telecommunications companies to healthcare providers. Chris strives to minimize clients’ time and costs by negotiating pretrial resolutions or shutting down cases in the earliest stages. When cases do land in the courtroom, Chris excels at communicating with jurors. She has a knack for presenting legal arguments to the real people who make up each jury, and she finds great satisfaction in persuading them of her client’s viewpoint. As national counsel, obtained defense verdicts in Iowa, Massachusetts and Virginia jury trials in cases involving claims that questioned the performance and safety of firearms and ammunition brought against Olin Corp., including wrongful death cases. Defended similar cases in Texas, West Virginia, Michigan, California, Illinois, Oregon, Alabama and Oklahoma. Obtained favorable jury verdict in case against Canadian manufacturer Westfield Industries Ltd. involving serious injury from use of auger. Tried multiple cases resulting in defense verdicts and hung juries in Missouri and California in which plaintiffs alleged that PCBs in food chain caused their non-Hodgkin's lymphoma. Favorably litigated many product liability cases in various jurisdictions for Siemens Corp. and its subsidiaries related to electrical equipment, medical equipment and transportation equipment. Obtained jury verdict for St. Louis architectural firm in a fraud case over the construction of palace in Saudi Arabia. Secured summary judgment in case alleging cancer from exposure to PCBs in food chain. It was first of many cases filed by more than 200 plaintiffs. Obtained 17 defense verdicts in a case brought by 17 plaintiffs against Olin Corp. alleging age discrimination in reduction in force action at Illinois ammunition factory. Victory was achieved despite earlier lawsuit handled by different law firm in which worker in the same layoff was awarded $850,000. National Law Journal recognized result as one of the Top Ten Defense Verdicts of 2000. Favorably resolved lawsuits against California-based lead-mining company in railroad workers' claims relating to transportation of lead. Three cases over eight years involved dust from gondola cars and loading process and alleged health consequences. Obtained defense verdict in jury trial where plaintiff alleged religious discrimination. Judge also awarded defendant $100,000 in attorneys’ fees. Obtained two defense verdicts in two separate jury trials against Sprint Corp. in Kansas federal court alleging age and gender discrimination. Represented large St. Louis-based packaging equipment manufacturer in enforcing noncompete agreements and preventing dissemination of trade secrets by former employees. Representing Dr. Pepper in a termination of distributorship agreement. Represented Siemens in a supply agreement case, resolved before trial. Chris loves to travel and has visited more than 20 countries. She is especially fond of Europe and warm islands. While much of the world is still on her bucket list, some of her favorite destinations have included most of Italy; Ghent, Belgium; Edinburgh, Scotland; Stockholm, Sweden; Barcelona, Spain; and Amsterdam, Netherlands. When she is at home, Chris enjoys playing golf, reading and spending time with her twins. Chris supports charities that provide opportunities for children in difficult circumstances. Since 2014, she has served on the board of directors of Boys Hope Girls Hope (BHGH), which helps children reach their academic potential and take full advantage of educational opportunities. BHGH takes committed students out of residential environments that negatively affect their ability to succeed, providing them with a safe place to live and with academic and life support through middle school, high school and college. Chris is passionate about diversity in the legal profession. She is personally committed to ensuring that women and minorities have opportunities to advance at Husch Blackwell. For 10 years, she chaired the firm’s Diversity Council, and she continues to serve on its steering committee. Observing that many large law firms hire women and minorities who never become equity partners, Chris also heads Husch Blackwell’s Sponsorship Initiative. The initiative pairs talented women and minority associates and fixed-income partners with sponsors who use their influence and authority to help the “proteges” advance.